It is that season again, the season that the diet goes out the window! Hello Girl Scout cookie season! Yum!! I know everyone has their favorite cookie that they wait every year to pay an over priced amount for and my favorite is the Samoa! Some people know these beauties as the Caramel Delights – either way, they are amazing! I decided to take advantage of the Colorado blizzard and do a little baking last weekend. I was inspired by these cookies and frankly, I wanted cake!! Great excuse! 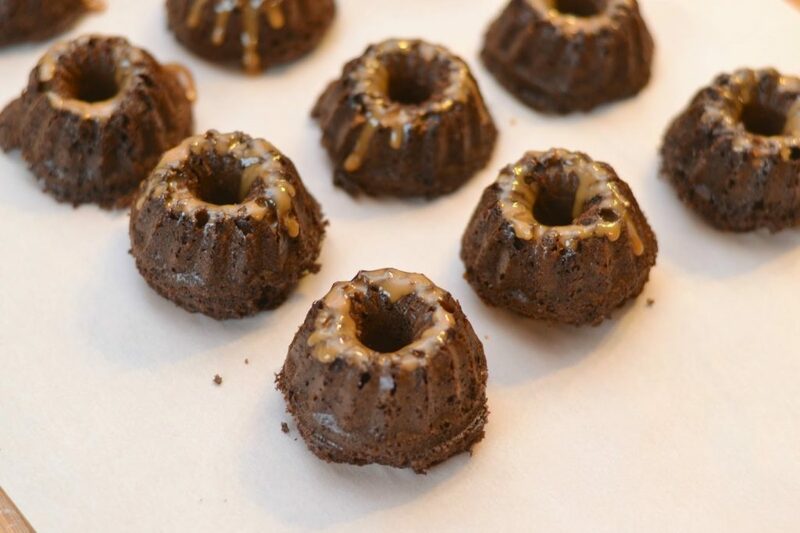 Oh, and because these are mini bundt cakes, you can have 2 with out guilt – 3 if no one is looking. 1. Heat oven to 325 degrees. Spray mini bundt cake pan with cooking spray. 2. 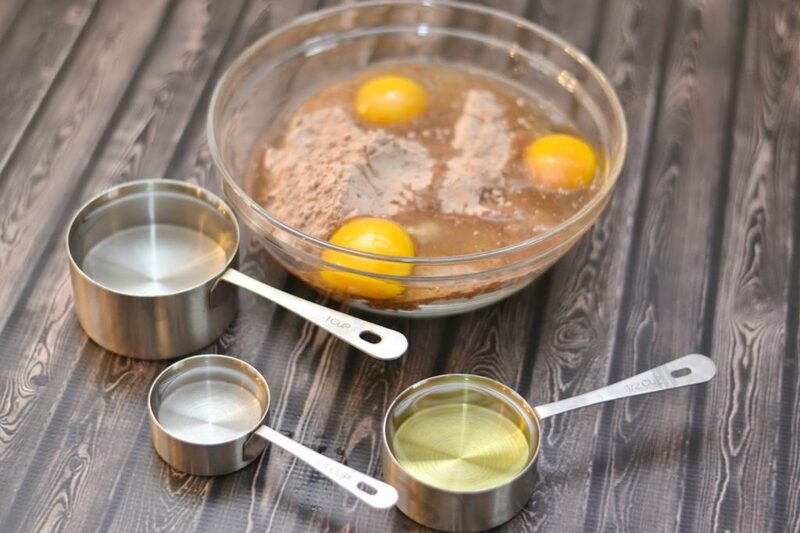 In a mixing large bowl, beat together cake mix, water, oil and eggs until completely mixed and smooth. 2. Pour cake batter into the bundt pan evenly. 3. Bake at 325 degrees for 20-24 minutes. Check with a toothpick before removing from oven. 4. Let cake cool for 10 minutes. Once cooled, take cakes out of the pan and place on a sheet of parchment paper. 5. Poke a few small holes in the top of each cake with a fork, do not poke all the way through the cake. 6. Pour about a tsp of the caramel sauce over each cake. As the cake cools before frosting and topping the caramel sauce will soak into the cakes! 7. Heat oven to 350 degrees. Toast the coconut flakes by spreading them out in a baking pan. 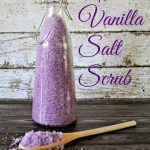 Stir occasionally – once they are a caramel color they are ready! 8. Time to make some caramel frosting. In a large bowl, cream together butter and cream cheese; should be a smooth combination. 9. Add caramel sauce and powdered sugar; beat until smooth. 9. Frost each cake once they are completely cooled. 10. Coat each frosted cake with a layer of toasted coconut. 11. Melt the chocolate chips and drizzle the melted chocolate on the cakes. 12. 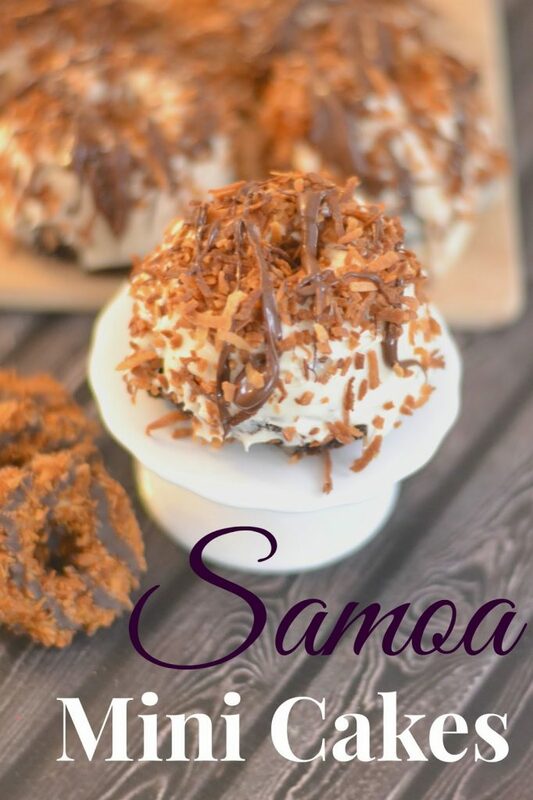 Now you are ready to enjoy these Samoa inspired cakes! Looks amazing right? They are! For those that do not like frosting I would recommend adding a bit more caramel sauce to the cakes and top with coconut and chocolate drizzle. For those of you that love these cookies, now you can recreate the goodness anytime of the year! Those sound so good. Thanks for sharing. Caramel Delights (thats what I knew them as growing up) are my faves too! So going to make these! I love the thin mints but hubby is all the peanut butter and chocolate ones. My daughter is a girl scout and I don't think I ordered any of these. Those cakes look delicious. I am buying a mini-bundt pan specifically for this recipe! These are my husband's favorite Girl Scout cookie flavor…probably mine too! I love Samoas but I didn't order any this year. I need to make these cakes! This looks delicious. I have never made samoa cake at home but I will try this one. I feel like I'm the size of Baymax just looking at this. YUM! Oh my goodness, I have yet to have any girl scout cookies and I totally want this now  Sounds so delicious. Thanks for sharing. 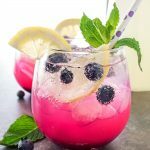 Oh my gosh, these sound dangerously delicious! 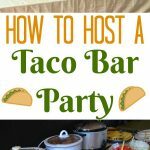 What a fun twist on a Girl Scout favorite. Samoa are my favorite girl scout cookies. 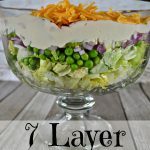 Thanks for this fabulous recipe. Oh my goodness. Samoa and Thin Mints are my FAVORITE Girl Scout Cookies. These look amazing! 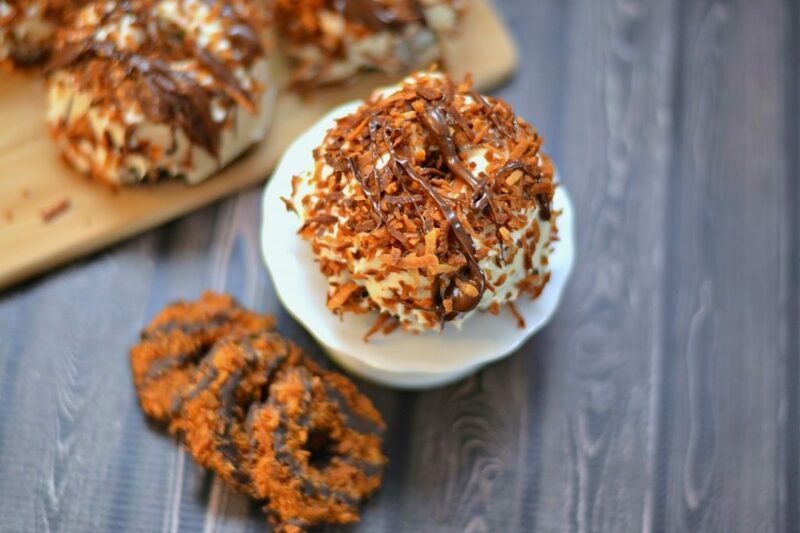 I'm a Thin Mint girl but I do love Samoas and these look amazing. The past few years we've just donated the cookies because I have no self-control when they're in the house! Yum! I'm actually not a huge fan of Girl Scout cookies. I know, what is wrong with me?! But now turning them into cakes, I would love that! These are so cute and something that would surely melt in my mouth! Yum! Love Scout cookies. PB is my fave. These look SO very good! I think they might even be better than the original cookies. These looks amazing! I can't wait to try them! I'm down for absolutely anything with coconut in it! YUM! Those are my favorite girl scout cookies. I really need me one of those mini bundt cake pans. 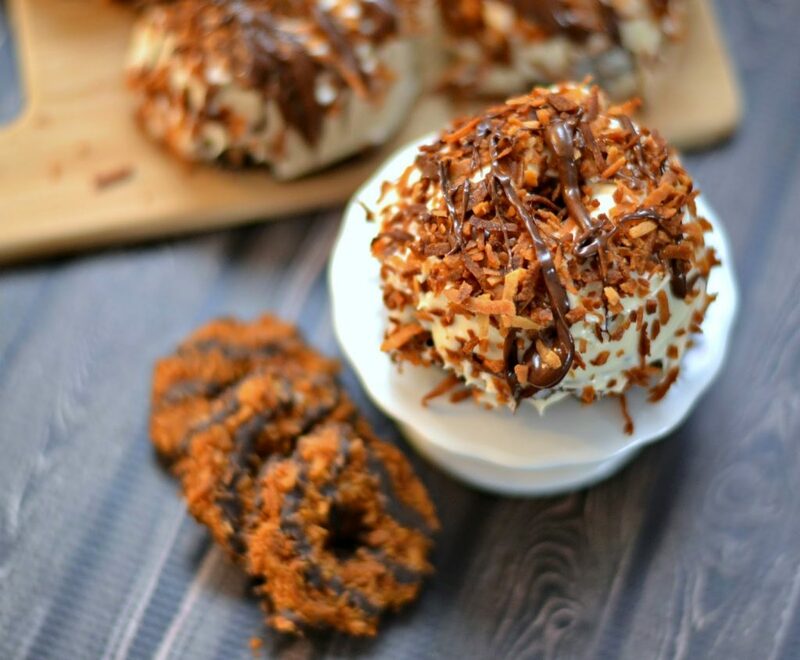 Samoas are definitely my favorite GSCookies! I love it and this lil mini recipe with the mini bundt cakes are too adorable!